Most of the rookie nookie reacharounds I’ve given out so far have been for hitters. But that doesn’t mean all 2009 fantasy baseball rookies will be hitters. Right, David Price? So today there’s Dodgers rookie pitcher, James McDonald, who is in no way related to the smooth-as-a-Mah-Jong-tile, Michael McDonald. On my own… As with the other 2009 rookies, James McDonald is not being talked about today because he should be drafted in the first round of an 8 team league. He’s a rookie that needs to be examined for sleeper and deep league keeper consideration. Can James McDonald compare to Billingsley or Kershaw? Can he help your fantasy baseball team in 2009? Who am I, Ms. Cleo? Do I have a Doctorate in The Voodoo That You Do? Respectively, nope, yup, nope and definitely, but let’s look at James McDonald’s fantasy baseball status anyway, shall we? In almost 100 games started in his minors career, James McDonald has the stats of a capable starter: 3.41/1.20 and a 9.74 K/9 ratio. He took most of his beatings in Single-A and Rookie Ball. In Double- and Triple-A last year, he had an ERA of 3.26 and a 7-4 record. Then when the NLDS rolled around, McDonald found more than partially hydrogenated soybean oil in his Happy Meal when he was added to the roster by Joe Torre, even if it was just for middle relief. McDonald’s starter status in 2009 will be contingent on offseason free agent signings and the Dodgers are in too big of a market to simply rely on a rookie pitcher. But if they are stuck with McDonald, it might not be such a bad place to be. James McDonald could be a capable fifth starter for the Dodgers, a must grab in NL-Only leagues and a late round mixed league sleeper — recognize! @ Grey: Long time reader here. Log in everyday for the past two months since I found the Razz. I’m hooked! As the lone James McDonald owner in the Razz world(12-team Dynasty: 15Hitters-5SP-5RP-6Bench-5DL), my question is if McDonald serve better as a RP(Should bring Holds and good ratios) than 5th now. Kinda like Joba’s role last year, (Not saying he is a Jobacum…) because this way he can get more ML experience and build some workload a lone the road. Or, is the other way around? thx! @Quintero: McDonald’s a starter… Are you saying should the Dodgers be using him as a Middle Reliever? Cause if that’s what you’re saying, I don’t agree. I think he should be a starter. Come again, if I misinterpreted the question. 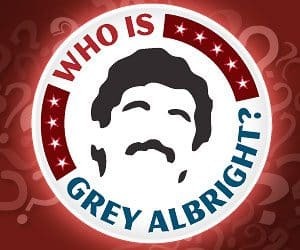 @Grey: Thx for replaying my super incoherent question. Let me try again. As a Mix H2H Dyansty Leaguer(in which Holds counts), I like McDonald in the future, but not really this year. In this year, he will show inconsistency and instability, and might just sabotage my weekly ERA/WHIP. I understand if a RP brings equal ratios to a SP, the RP’s value doesn’t even come close to the value that SP has. So if McDonald loses his RT, and serves as a RP/6th SP type(maybe 100IP in that case), will you consider him as a player who can contribute now(in ratios, Ks, Hlds and very occasional Ws) because he might be able to use his stuff more effectively as a RP and he could still be covert as a SP next year? If is not too trouble for you, could you take trade value into account? Or you will consider options such as (A)a random streaming option, like Dana Eveland or Anibal Sánchez, or (B)good Holds guys such as Tony Peña or Aaron Heilman, for the final pitching roster spot? Thanks for your time and wisdom. @Quintero: I just dropped him in an NL-Only keeper as I don’t think he’s going to contribute much for a while. I’d prefer to go with the random streaming option when it’s worthwhile, and carry a solid Holds guy in the meantime. @Quintero: Yeah, kinda bad. And not worth stashing. @Grey: Appreciated! Looks like it’s time to diet health and get rid of the the Micky D!